The course is intended to provide the information and tools on the mechanics of the electoral process. 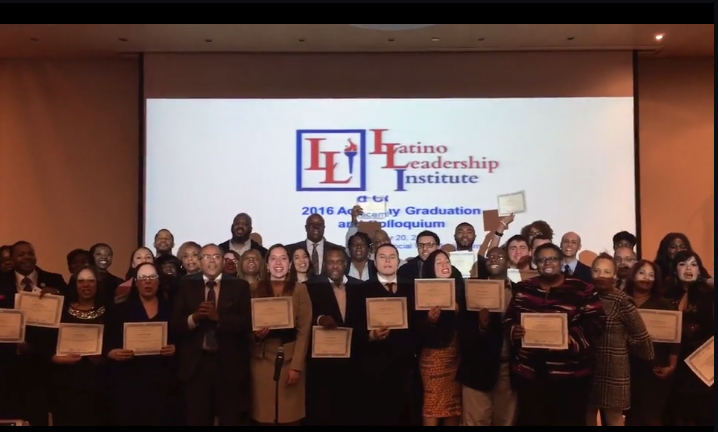 A certificate of completion is provided jointly by the Latino Leadership Institute and the City University of Nw York (CUNY), with the Academy taking place each year at either the Murphy Institute of Labor Studies or the Hunter College Silberman Graduate School of Social Work, and at other CUNY sites. ABC’s of becoming a candidate from the collection of a petition to the political defense of petitions in court. Considerations in deciding to run and declaring candidacy. Learn the technical nuts and bolts of campaign finance including important rules and regulations. Learn how to create a political message that supporters can identify with to mobilize voters and funders. Become skilled at creating a volunteer base using community economic and political issues that affect the district where you are planning to run or manage a campaign. Learn the art of fundraising and identifying strategies to help a candidate raise funding for their campaign. Do you know the rules for when and how to tweet, text, or phone bank? Do you know how to maximize the reach and effectiveness of your message? Steps of campaign operations from voter identification, mobilization of volunteers, direct voter contact, get-out-the-vote, and Election Day operations. The course is intended to provide the information and tools on the mechanics of the electoral process. The Certificate is provided jointly by LLI and CUNY, with the Academy taking place each year at either the Murphy Institute of Labor Studies or the Hunter College Silberman Graduate School of Social Work.